Emerson Process Management. This document examines the preparation and deployment process for the DeltaV Batch Analytics feature of the DeltaV™ Professional Batch product. 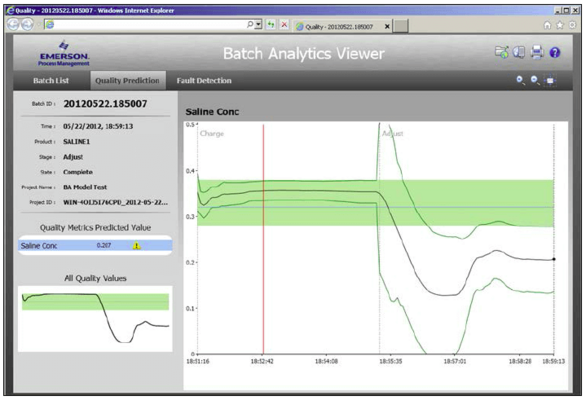 The DeltaV™ Batch Analytics feature of the Professional Batch product provides powerful, model-based analysis of executing batches. This provides the plant operations staff with model-based prediction of the end-of-batch quality while a batch is running. The model also provides fault analysis that allows for indications of faults (misalignments with the model) during execution.